The Corporate Chartered Logo is awarded on the basis of an organisation’s commitment to meet significant and ongoing obligations designed to ensure that its employees are competent, knowledgeable and ethical in their dealings. A minimum of one of the firm’s board* members must personally hold the CII Chartered Financial Planner title. 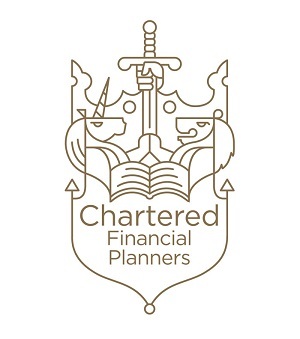 A minimum of 25% of your Entity’s advisers must personally hold the CII ‘Chartered Financial Planner’ title. The entire board*, together with a minimum of 90% of customer-facing staff, must be members of the CII/PFS. The firm must have in place core values and business practices that align with the CII Code of Ethics. The firm must have an appropriate professional development programme in place. A full financial planning service must be offered (in the case of a specialist advice firm a satisfactory referral procedure must be in place) and access to a Chartered Financial Planner must be available. One of the firm’s board* (who must personally hold the Chartered Financial Planner title), must take on the role of Responsible Member. This person is the principal point of contact on Chartered status with the responsibility for the application, renewal and for any related issues at any stage. *Note: where the principal business of the company or partnership is not financial planning and a specialist division has been created for the purpose of managing this part of the business, the CII may, at its discretion, recognise a member of the highest management team appointed to run that division.